The International Energy Agency (IEA) is forecasting that the days of $US100 a barrel crude oil may be over, at least for now. The forecast chimes with a report released by the US Energy Information Agency (EIA) earlier in the week that predicted crude prices will fail to recoup sharp falls since June and are likely to stay around current levels for the whole of next year. 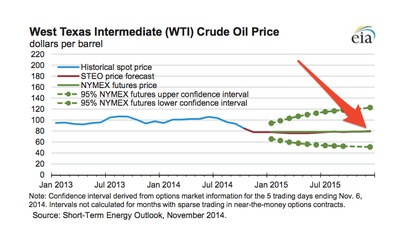 It’s true that slowing growth in Europe and China has impacted the outlook for the oil price because its lowers demand. But given that the deceleration has been gradual, it’s unlikely to have been the main cause of the sudden collapse we’ve seen in recent months and the affect will mostly play out over the medium to long-term. 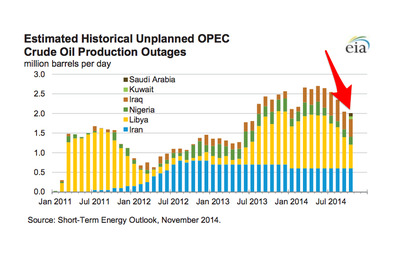 Increased oil production in the US is a huge part of the story. As a recent note from Goldman Sachs explains: “although slowing demand in Europe and China has been a factor, the dominant factor — and, critically, one that our Commodity team believes will persist — is excess supply and/or expectations of excess supply”. 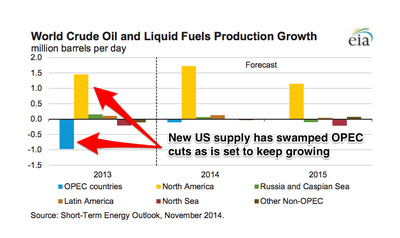 Last year, falls in OPEC production were more than offset by increases in US production and that trend now looks set to continue (see chart on the right). 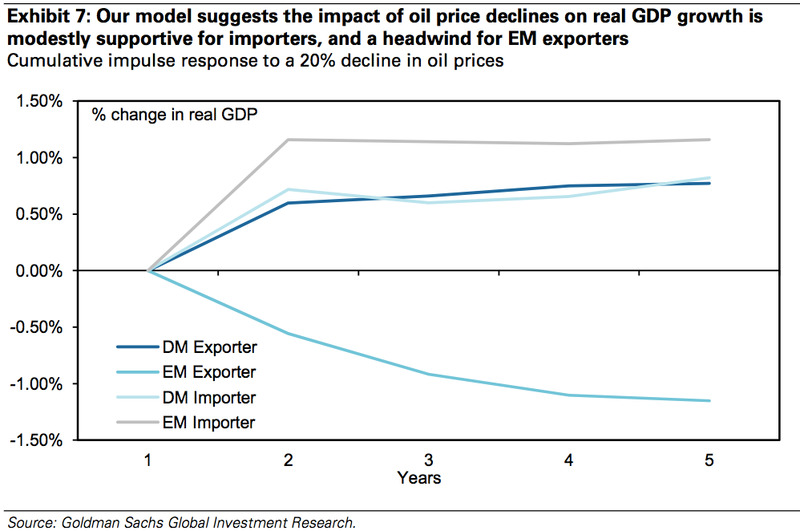 That’s great news for developed countries and oil importing emerging markets, as the longer lower oil prices last the larger the boost they should get to GDP. 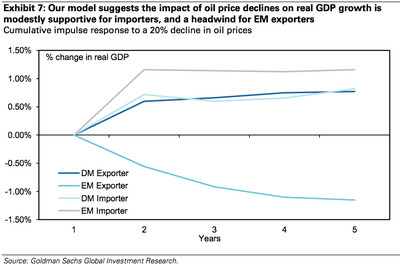 However, it’s less good news for emerging market oil exporting countries that will suffer both a hit to growth and falling tax revenues. 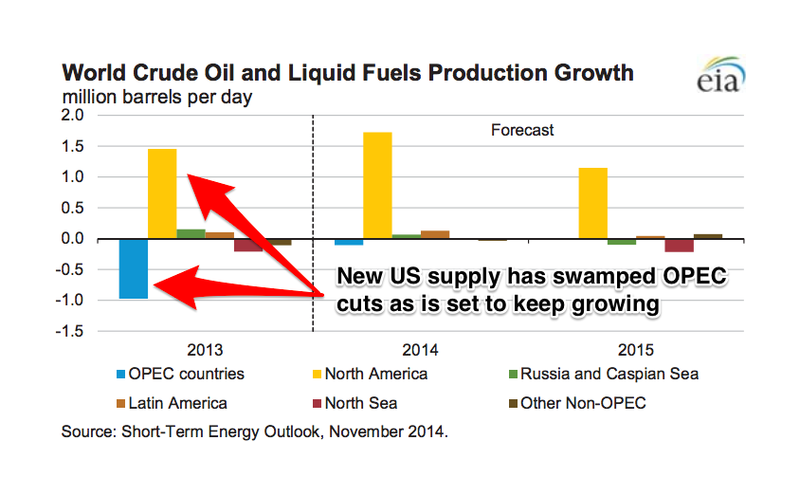 Crucially, rising US supply also means that OPEC, which controls around 40% of global oil production, is seeing its pricing power eroded. As such the oil cartel faces a stark choice between allowing prices to fall in order to remain competitive with US shale production, or attempt to cut production aggressively to regain control over prices. So far signs seem to be pointing to the former. On Wednesday Saudi Arabia’s oil minister Ali Naimi hinted that the cartel was not planning an imminent production cut saying that current crude prices were “a question of supply and demand, it’s purely business”. Oil traders have also been caught off guard by better-than-expected output in some of the world’s most troubled regions. As Business Insider reported, Russia, Iraq and Libya all surprised on the upside as flareups of regional conflicts failed to disrupt to flow of the commodity. Higher exports from Libya and steady shipments out of southern Iraq, despite worsening conflicts in these OPEC producers, weighed on spot crude oil prices during October. 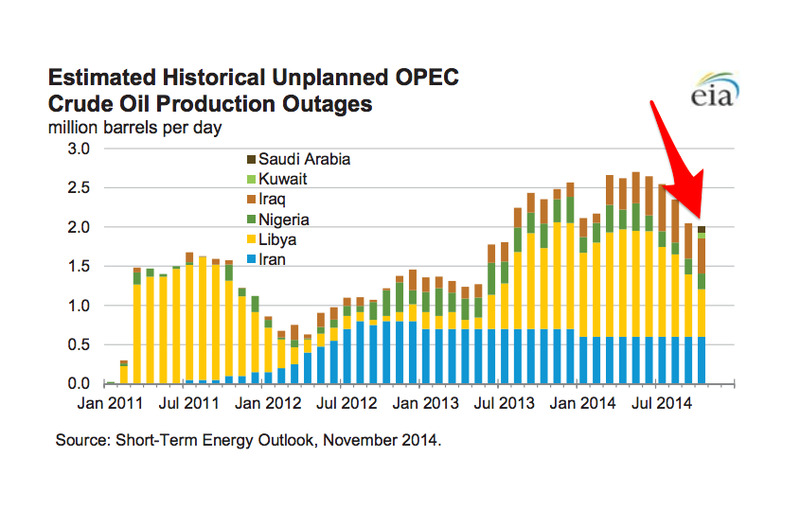 Markets remained well supplied in early November, even as Libyan supplies suffered new disruptions. Economic development no longer spurs oil demand growth as it once did, especially in the absence of wage gains. China, the top source of incremental oil demand in recent years, has entered a less oil-intensive stage of development, while years of high prices have let innovative technologies unlock untold resources in North America and likely soon elsewhere. 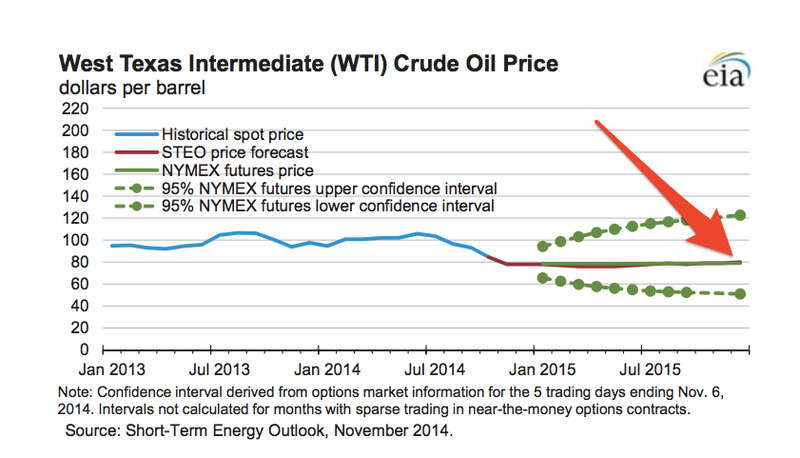 The steeper they are, the less sustainable oil price swings tend to be. But a return to previous price highs may not be a close prospect, as it is increasingly clear that we have begun a new chapter in the history of the oil markets.